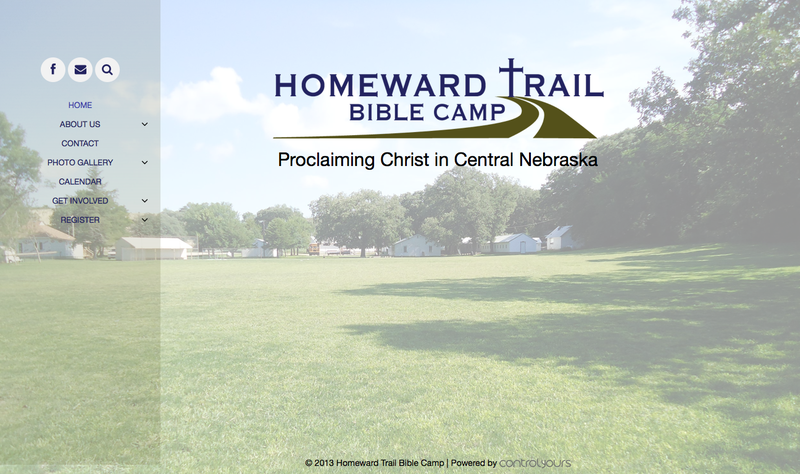 Homeward Trail Bible Camp occupies 10 acres of beautiful creek bottom ground 1\4 mile north and 1 mile east of Mason City, NE. Since 1952 they’ve served the surrounding communities with a campground that is focused on reaching people with the gospel of Jesus Christ. Cole asked us to rebuild their website – in his own words: “It felt really outdated and it was hard for us to update the pages and add in new photos.” He wanted a simple landing page with a menu on the left-hand side with a transparent background so you could see the beautiful campground while looking at the text and photos. Cole also asked us to make it mobile friendly so people could look up the website on their phones and find information without digging. We added in a simple donation form using Stripe so people could leave a donation right on the website without having to go through PayPal – which can be confusing at times.